Teachers will experience landmarks of the temperance movement and the immigrant experience in late 19th and early 20th century America by exploring Columbus and nearby Westerville, Ohio. Westerville was the home of the Anti-Saloon League, a major temperance organization that explicitly warned against the influence of alcohol, Catholics, and immigrants. Columbus was home to a large German immigrant population, with an attendant brewing industry. This small town and nearby city are emblematic of America in the Progressive Era. Participants will receive a $1,200 stipend to help cover the cost of travel and lodging. Workshop dates: July 10-15 or July 24-29, 2016. Application deadline: March 1, 2016. Learn more atohiohistory.org/demontimes. History will come to life at Ford Island as the Battleship Missouri Memorial hosts “Living History Day” on Saturday, Jan. 30. Festivities will take place from 9 a.m.-3 p.m. and feature fun and educational exhibits, performances and activities from a collection of historical attractions, organizations, and active military commands. 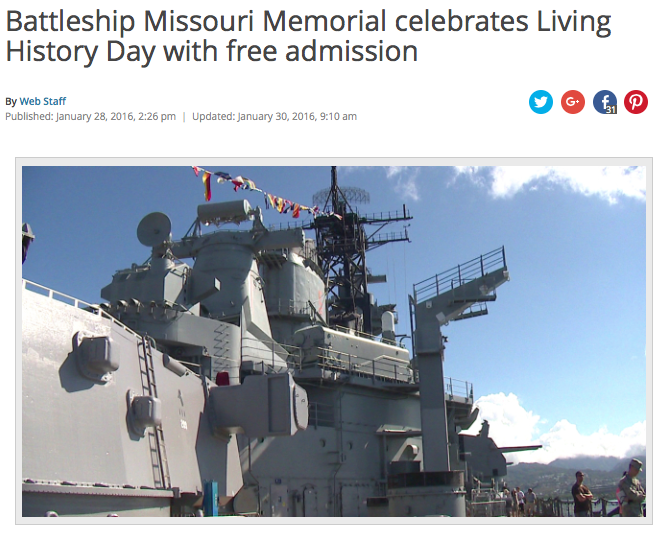 Best of all, admission is free for Hawaii residents, military and Battleship Missouri Memorial members. The daylong celebration will also commemorate two important anniversaries for America’s last and most famous battleship – the 72nd anniversary of the USS Missouri’s launch into service in 1944 and the 17th anniversary of its opening as the Battleship Missouri Memorial in Pearl Harbor. Even though African-Americans have been part of the Hawaii's cultural landscape for over two centuries, not many people know of their contribution to Hawaii's rich history. What brought them here? How were they received? The King Kamehameha V Judiciary History Center in partnership with the African-American Diversity Cultural Center Hawaiʻi presents this program to broaden the awareness of the contributions of African-Americans to Hawaii's society over the last two centuries. In celebration of African-American contributions to Hawaii's legal history, Dr. Albert Broussard, professor in the Department of History at Texas A&M University, shares the story of Thomas McCants Stewart, Hawaii's first African-American attorney. Join us as Dr. Broussard recounts Stewart's journey from South Carolina to such places as New York, London, Liberia, and Hawaiʻi. During his life, Stewart worked as a teacher, pastor, attorney, and Supreme Court Justice. A friend of Frederick Douglass, Booker T. Washington, and W.E.B. Du Bois, Thomas McCants Stewart lived a phenomenal life as an African-American in post-Reconstruction America and Territorial Hawaii. This program is free and open to the public. Light refreshments will be served. Americans constructing the continental railroad, in the United States and creating sugar plantations in Hawaii discovered the value of the hard-working Chinese in the mid 1800s. As the Qing dynasty began its long decline in China, men immigrated to Hawaii without their families to build many of the infrastructures we still enjoy today. On Maui they made the Lahaina sea wall, tunnels through the mountains, the Road to Hana, and the irrigation systems for the sugar plantations. 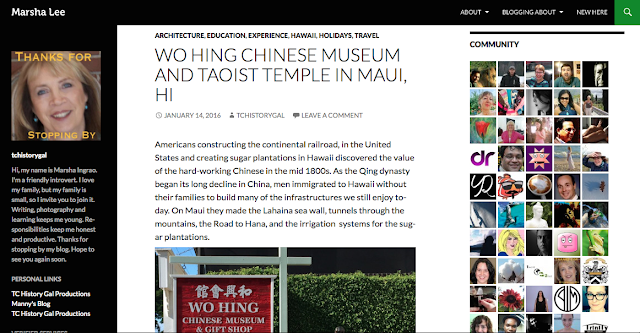 You can read the rest of this blog post of Maui's Wo Hing Chinese Museum here. Participants in this National Endowment for the Humanities-sponsored program will spend four weeks in Chicago, a center of Progressive Era reform, engaging in vigorous discussions about this critical time period in American history and creating materials to use in their classrooms. Award-winning historian Robert Johnston (University of Illinois at Chicago) will guide the institute’s academic content, with the help of renowned experts in history, art, and architecture. Charles Tocci (Loyola University Chicago) will direct teaching application discussions, along with master teacher Michael Biondo (Maine South High School). For more information, contact Rachel Allmen, CMHEC, rallmen@chicagohistoryfair.org. History Education Hawaii News Has a New Name: HISTORY IN MOTION! History Education Hawaii, Inc., is pleased to announce a name-change for our open news-blog: HISTORY IN MOTION! 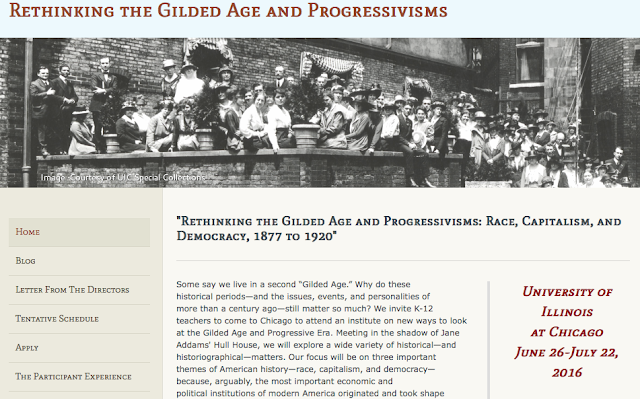 We'll continue to post news of events, articles and publications of interest to historians, history educators, students and history buffs alike. Stay tuned! Year 2016 holds great promise. Thank you for your interest and for your support. Mahalo nui loa! The National Council for the Social Studies National Standards for the Preparation of Social Studies Teachers are intended to provide guidance for a number of different audiences who are either responsible for assuring the competence of social studies teaching professionals (e.g., institutions of higher education, NCATE/CAEP reviewers, state agencies that approve teacher education programs, state licensure offices, testing organizations) or in need of such assurance as they decide which teacher preparation institution to attend or which prospective teachers to employ (e.g., prospective social studies teachers, school system employers, students, parents, citizens). For several decades NCSS has formulated standards for the preparation of social studies teachers. The latest revision occurred in 2002. A traveling exhibition created by the American Bar Association Standing Committee on the Law Library of Congress and the Law Library of Congress. Free and open to the public Monday - Friday, 8:00 a.m. - 4:30 p.m.
For more information, please call 539-4999. 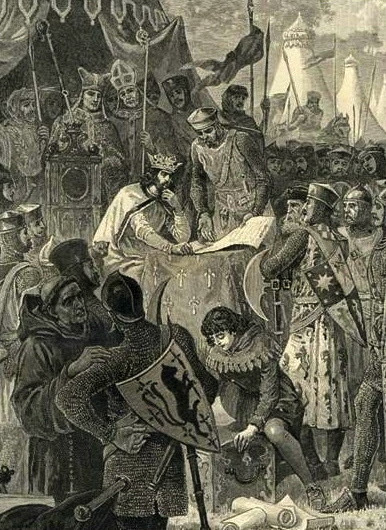 Magna Carta is the charter of liberties that England’s King John granted to his barons in 1215. In the centuries since its creation, Magna Carta has become one of the most enduring symbols of liberty and the rule of law. It is often cited as one of the founding documents of modern democracy and constitutional government and is seen as a forerunner of such important sources of the British Constitution as the Petition of Right (1628), Habeas Corpus Act (1679), and English Bill of Rights (1689). In the United States, the document was a major influence in the creation of the Declaration of Independence, United States Constitution, and Bill of Rights. Although in many ways Magna Carta belongs to the medieval society that created it, some of the most important people in our constitutional history have found in it an ancient precedent for the marriage of individual rights and constitutional government that has characterized the rise of the modern world. Magna Carta’s admirers have seen in it the origin of many enduring constitutional principles: the rule of law, the right to a jury trial, the right to a speedy trial, freedom from unlawful imprisonment, protections from unlawful seizure of property, the theory of representative government, the principle of “no taxation without representation,” and most importantly, the concept of fundamental law—a law that not even the sovereign can alter. The exhibition, in the rotunda of Aliiolani Hale, shares images of objects from Library of Congress collections that illustrate Magna Carta’s influence throughout the centuries and explain the document’s long history. ANNOUNCEMENT: By request, History Education Hawaii's January Winter Lyceum of History scheduled for January 9, 2016 has been postponed. The conference organizers will be meeting to decide on our next steps. We will let all participants know once a new date has been chosen and location confirmed. All those registered will be credited for the rescheduled date. We are reviewing the probability to using the lyceum's theme as the one for our annual conference on the weekend of May 21. Mahalo nui loa. 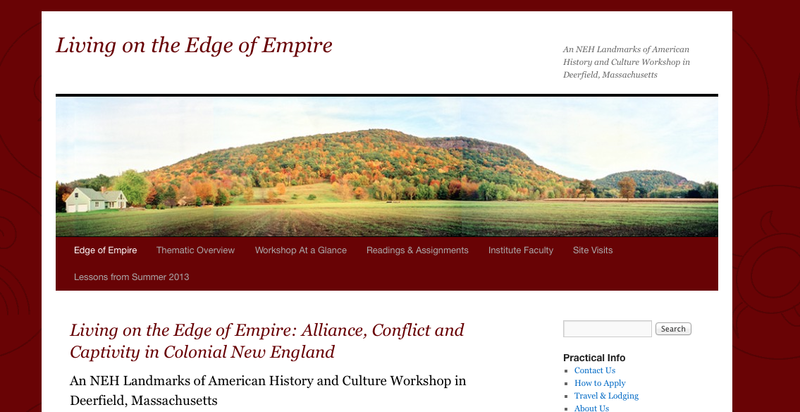 Living on the Edge of Empire: Alliance, Conflict and Captivity is a National Endowment for the Humanities Landmarks of American History and Culture Workshop for K-12 teachers and librarians hosted by the Deerfield Teachers' Center of the Pocumtuck Valley Memorial Association, Deerfield, MA. The workshop will be presented the week of July 10 through July 15 and again the week of July 24 through July 29, 2016. The workshop places the Deerfield Raid of 1704 in the broader context of the history of Colonial New England. The deadline for applications is March 1, 2016. Go to http://edge-empire.deerfield-ma.org/ for a description of the program and instructions on how to apply. NEH Summer Scholars who are chosen for these workshops will be awarded a $1200 stipend to help defray travel and accommodation costs. For a century from 1660 to 1760 the bucolic New England village of Deerfield was a crossroads where differing visions and ambitions of diverse Native American Nations and European colonial empires interacted peacefully and clashed violently. During a memorable three-hour span in the early 1700s, the town stood at the center of the struggle to control the continent. The 1704 Raid on Deerfield is a doorway to a fascinating and important part of American history. It was an event rooted in religious conflicts, personal and family retribution, alliance, and kinship ties. The Raid on Deerfield and the colonial world that produced it, helped to create a distinctive American identity and world view that became a backdrop for the American Revolution. Workshop Summer Scholars will explore global issues while also considering ways in which this history can offer a compelling entry point for teaching the complexities of the early American colonial period and the many cultural groups who comprised it – Native nations, enslaved Africans, and the French and English settlers.